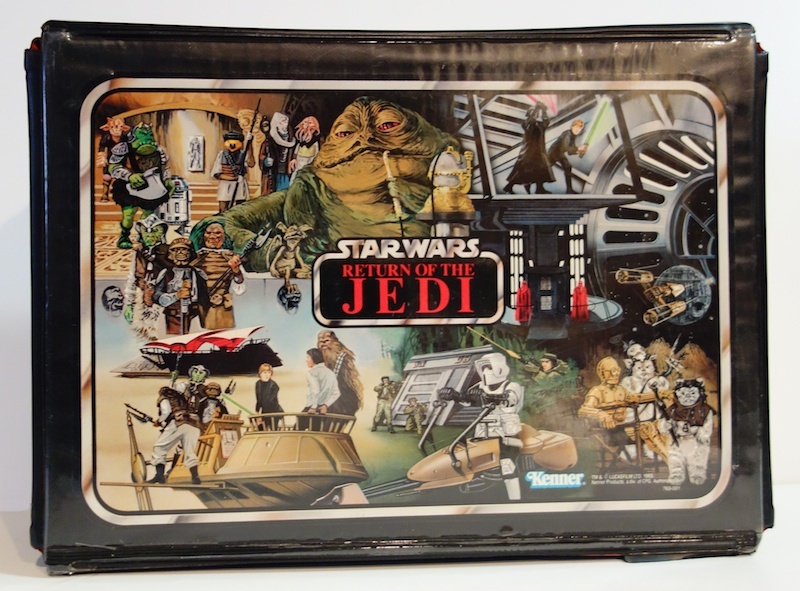 The Return of the Jedi version is easily the hardest to find of these, and therefore the most valuable, with prices on eBay sometimes topping $100 (and I don’t just mean unrealistically priced Buy-It-Now auctions, either). That’s what put me off of buying one for a long time. I did finally find a very good deal on this one, though. 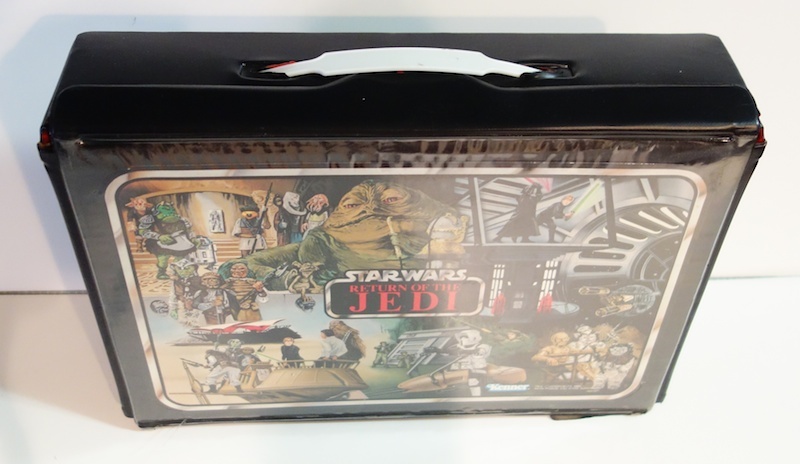 Inside the case are two plastic trays with spaces to fit 24 figures. It originally came with a sheet of stickers with the names of various characters that you were supposed to apply to the trays, and that has already been done to mine. I’m not really sure why you need to label the spaces for particular figures, though. There are a few figures that would fit best in certain spots, but aside from that I don’t really see the point. 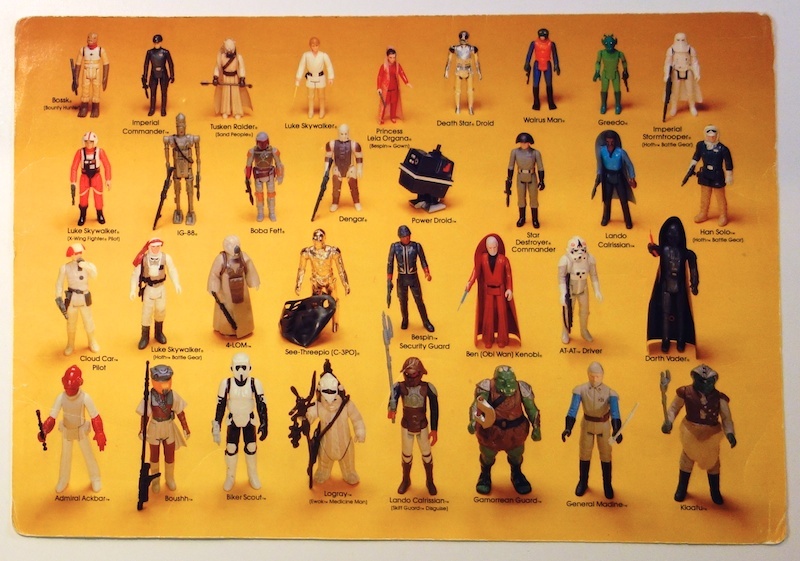 It also came with a large double-sided cardboard insert that showed some of the figures available at the time. 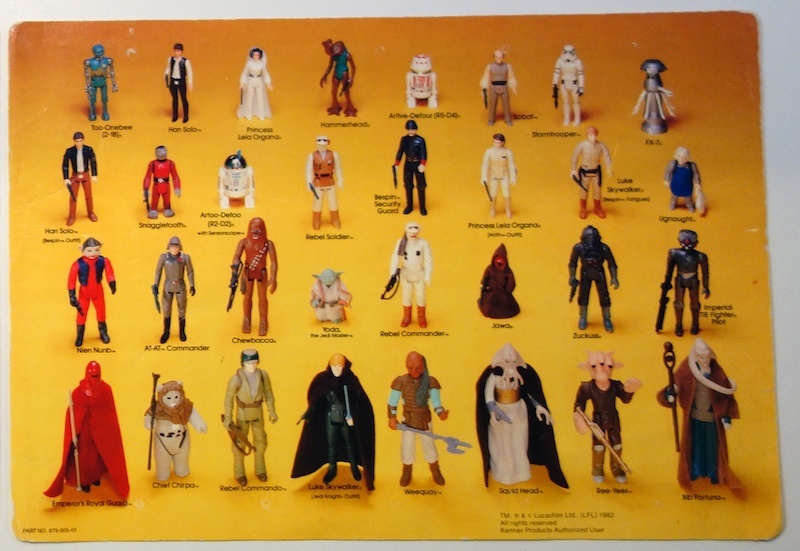 I’m not sure what purpose this had aside from advertising the figures, but the photos are nice and big compared to what you might have seen on the back of a vintage figure’s card. Often this insert is missing and can drive up the price of the case when it’s present. I am looking for one too for a while now, but it’s really tough to get one in good quality for a reasonable price as you said. Btw, some prototype figures are seen on the insert, most notably Squid Head. I’ve owned two of the vinyl cases, but never this one. The artwork is definitely my favorite of them all! 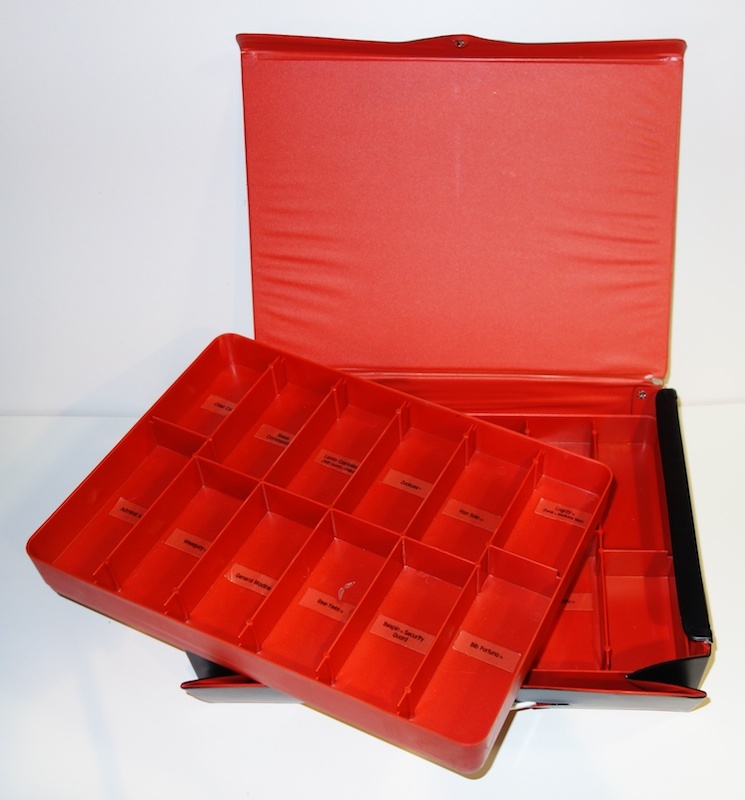 The red trays are pretty cool too!